The Armageddon Gear Pistol Mag Pocket holds five double-stack or single-stack pistol mags securely for storage or transport. The velcro-secured flap keeps your mags in pplace and together. 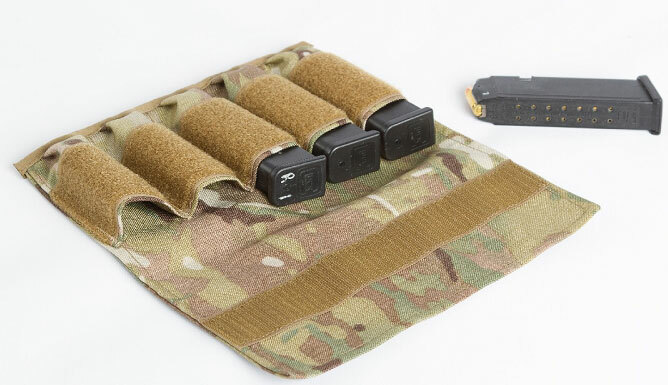 No more loose mags rolling around in the bottom of your range bag, pack, or truck. Like everything Armageddon Gear manufactures, the Pistol Mag Pocket is proudly made in the USA of Milspec-quality American-made materials. Available in Multicam, Coyote Brown, and Black.